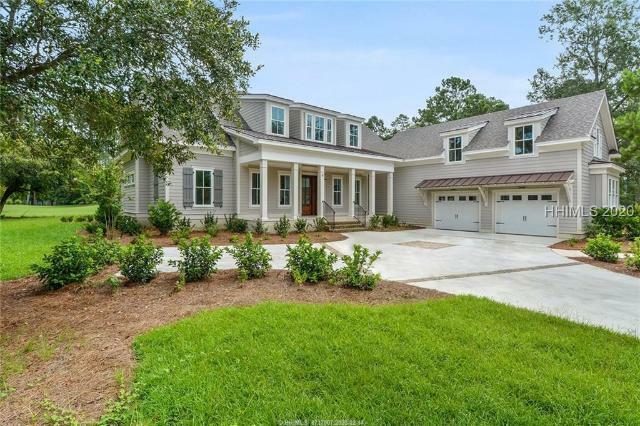 Located behind the gates of Berkeley Hall, a private luxury golfing community in the heart of the Lowcountry, this custom designed and built one level home offers lock and go living with very little maintenance. 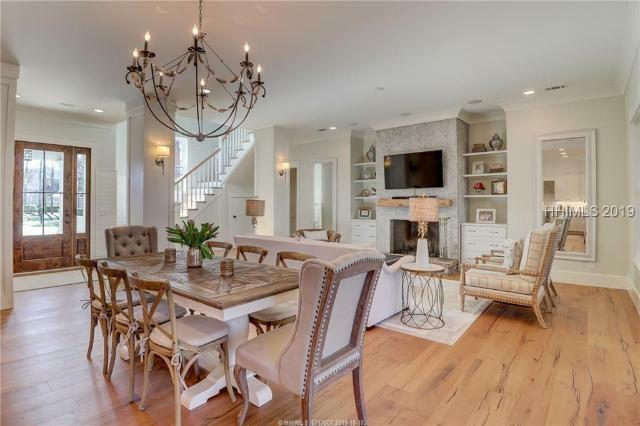 As the door swings open your eyes are immediately attracted to the travertine floors throughout, the custom moldings and archways, the 10-20 ft ceilings and telescopic sliding doors to allow outdoor and indoor entertaining to become one. Enjoy cooking in your chefs kitchen with Viking Appliances or pool side at the outdoor built in Viking kitchen. 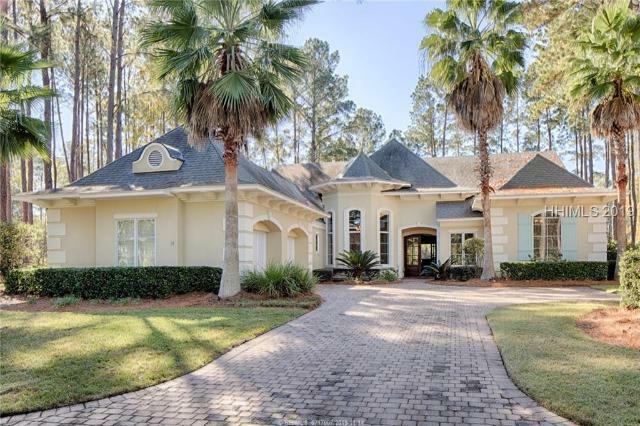 This home is a showstopper for the price and would make a great second home. 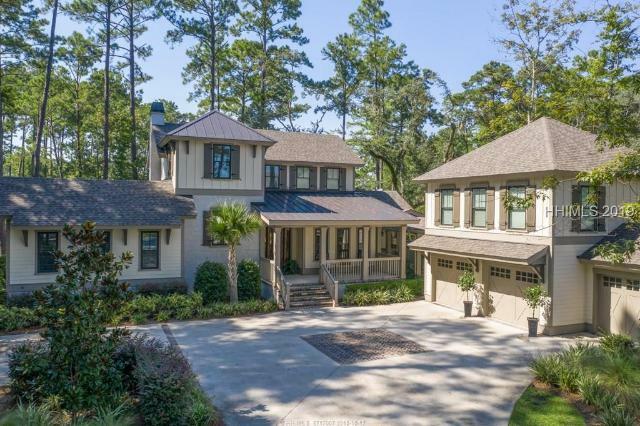 BEST VALUE for a stand alone home in Berkeley Hall! 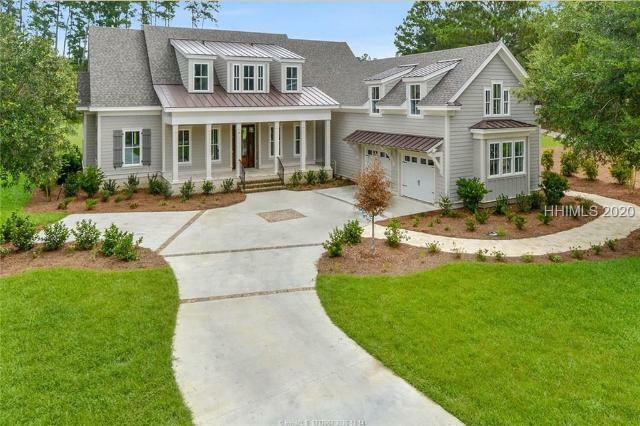 Charming curb appeal with brick paver drive. You can't beat its convenience to Clubhouse, Golf, and Spa & Fitness Center for fun and a healthy lifestyle. 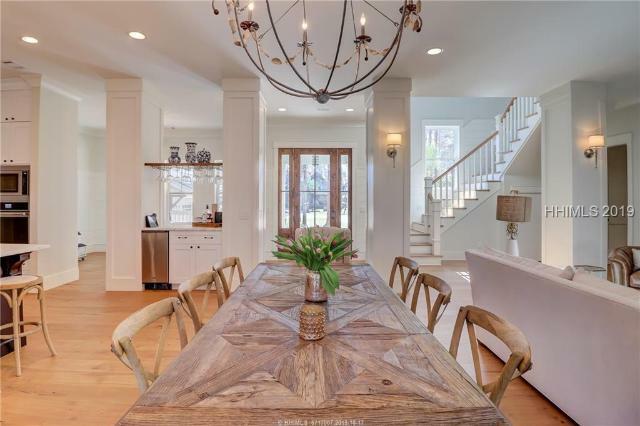 Charming inside with hardwood floors, high ceilings, huge kitchen & great room! $85,000 less than other Lifestyle homes on the market! Telescoping glass sliding doors in kitchen, great room, master bedroom to screened lanai with brick pavers. Kit w/island, granite counters, custom cabinetry. HVAC 2014 & HWH 2015. New interior paint 2018. Plantation Shutters. Well-maintained. 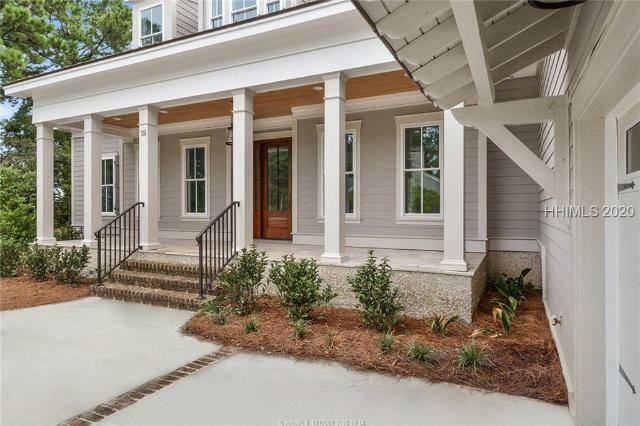 Ready for you to make it your home! 1-yr Home Warranty for Buyer.